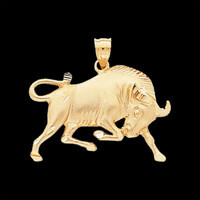 14k Gold Scorpion pendant. 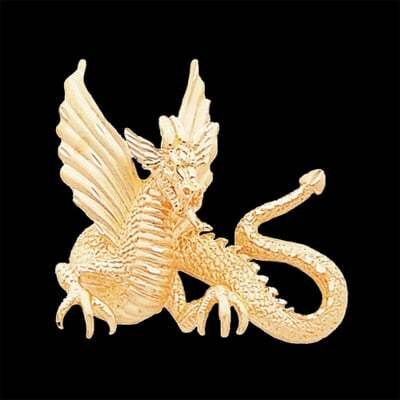 Pendant is available in 3 sizes a 20mm 1.9gm (25mm - 1 inch), a mid sized 32mm long 4.4gm, and a Big Bold 11.7gram 50mm or 2 inch long choice. 14K Gold Salmon Charm Pendant weighs 2.8grams and measures approx. 39mm in width. (25mm - 1 inch) Great gift idea. He's great for any sportsperson. 14k Gold Large badge pendant. This badge measures 34mm top to bottom by 19mm across. Have this pendant engraved to personalize it just for you. Badge pendant weighs about 2.92 grams. 14k White gold dog tag style pendant. 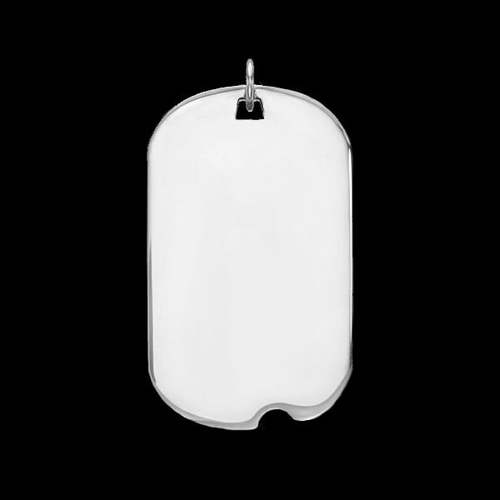 This dog tag has is a notched design and measures 39mm top to bottom by 19mm wide. It's made .011 gauge thick and weighs about 2.3 grams. Suggested 2mm bead chain looks great with this style pendant. 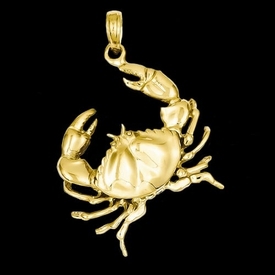 Fierce 14k Yellow gold Stone crab pendant. This feisty crab measures 31mm in length by 23mm across and he weighs about 4grams. Pendant is solid with an open back and polished finish. Big 14k gold Bass pendant. This big catch is a true trophy at 36 1/2 mm in length by 24mm across. He's bold at 9.3grams. Bass fish features a textures body and fins with a polished head. Available in 14k Yellow or White gold. Add a chain from our chain category. Stylish 14k gold Halibut pendant. Delicious design with a textured body and contrasting polished accents gives this fish his own style. He measures about 40mm top to bottom before the bail and 23mm across. His hanging weight is 5.5grams. We have suggested a chain but of course we have additional selections in our chain category. Beautiful Masculine Gold Anchor Pendant is available in 14k Yellow or White Gold. Pendant measures 31mm x 22mm (25mm-1 inch) and weighs approx.. 5 grams. Wonderful gift. Big 14kt gold Bass pendant. This big catch is a true trophy at 28 mm in length by 35mm across. He's bold and weighs about 9.8grams. Bass fish features a textures body and fins with a polished head. Available in 14k Yellow or White gold. Add a chain from our chain category. Mighty 14k gold Marlin fish. This bill fish features a matt and polished finish creating this handsome trophy. He's available in 14k yellow, white, or rose gold. Wear him for luck on your next fishing trip. A handsome pendant for any serious fisherman. This massive marlin weighs about 13.2 grams. Bold 14k gold 3-d Mahi Mahi fish pendant. This trophy Mahi Mahi measures 50mm or 2 full inches tail to face and he is a 3 dimensional design. Very detailed with diamond cut accents on the fins and tail. This incredible pendant weighs around 13.6grams. Wow, that is a keeper. You'll want a strong chain to hang this fish from, we have listed a few suggestions of course we have additional selections in our chain category. This bill fish pendant is a great symbol of your trophy fish. Handsome 14k gold 3-d Marlin pendant. Marlin measures 40mm from top of the fin to the tail fin and if you measure tip of the bail to tail measures 48mm. This big fish weighs around 7.8grams and features a textured body and polished bill. He's a great catch Without Bait. This bill fish pendant is a great symbol of your trophy fish. Incredible Trophy 14k gold Marlin pendant. This Marlin is almost 3 inches from the tip of his bill to the end of his fin. This Big marlin features a textured body with diamond accents on the fins with the handsome high polished head and bill. The texture and polish are a beautiful combination and really make the fish. This bill fish pendant is a great symbol of your trophy fish. He weighs 13.2grams!!!! Wow. You'll want a decent chain to show off this beauty. Lovely 14k gold large lighthouse pendant. This pendant measures 38mm top to bottom, with the bail the length is 46mm and 12mm across at the base 7mm in the middle. Lighthouse pendant weighs 4 grams. Fabulous 14k gold Crab pendant. This crab hangs from his pinchers and is a nice 6.4grams. He measures 27mm top pincher to bottom leg by 25mm across. 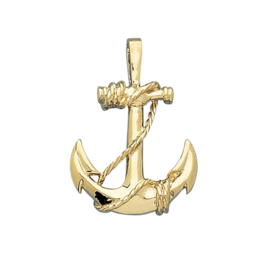 A great pendant to wear on your next fishing trip, to the beach, or anytime. 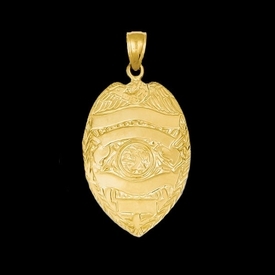 Huge 14k gold Dorado pendant. This pendant measures aprox. 46mm top of his head to bottom of tail by about 37mm across. He weighs a bold 10.00grams and features a polished and diamond cut accent finish. Very detailed fish pendant available in 14k yellow or white gold. This is one that you won't want to throw back. Magnificent 14k gold Bill-fish pendant. This bold pendant shown in 14k white gold measures about 46mm in length before the bail by 30mm at it's widest point. He weighs 5.3grams and look like a fighter. Gold bill-fish pendant features a polished head textured body with the fin near his head a polished finish. Order him in 14k yellow or white gold. Big fish pendant is very detailed. He'll bring you luck on your next big fishing adventure.